Patrick Moore, uno dei fondatori di Greenpeace bolla la sua organizzazione come passibile di denuncia per crimini contro l’umanità. E vede l’uomo com e parte della natura e non come un oggetto esterno, estraneo e non naturale: qui la scelta è se essere Darwinisti o creazionisti. 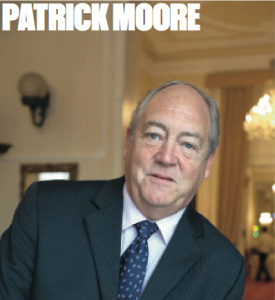 Leggi l’intervista a Patrick Moore parte 1, parte 2 e parte 3. Carne di cavallo al posto di carne di manzo nelle lasagne Findus. Uno scivolone che può costare caro in Gran Bretagna. Eppure Findus aveva il bollino blu di Legambiente per essere nella lista dei buoni e virtuosi produttori OGM-free. Strane classifiche queste dove si arruolano le multinazionali “buone” del settore, salvo poi scoprire che la presenza di OGM attiene all’ambito dell’ideologia ossessiva, non a quello della qualità alimentare. Ci sono gli spaghetti della Barilla e il cornetto Algida, i baci Perugina e i cioccolatini della Danone, il panettone Motta e i cereali della Kellog’s. Nello stesso carrello della spesa ecco i bastoncini di pesce della Findus e i salumi della Negroni, la Simmenthal e gli yogurt della Fattoria Scaldasole, le birre e il Grana Padano. E poi via via fino al dessert della Sorbetteria Ranieri o della Gelateria Ghisolfi andando a chiudere con un caffè Hag o Splendid. Un lungo carosello di prodotti, che non sono l’elenco dei prodotti di qualità, ma sono tutti accomunati da un “No”: quello contro gli Organismi geneticamente modificati (Ogm), contro il frankenstein-food tanto per intenderci, pronunciato in maniera netta da oltre 60 grandi aziende alimentari, da tre catene della grande distribuzione (Coop, Esselunga, Il Gigante) e da alcune aziende specializzate in pappine per i bambini (Plasmon, Nipiol, Dieterba, Gerber), che si attengono così al regolamento del Ministero della Sanità che dal maggio di quest’anno vieta l’uso di prodotti Ogm negli alimenti per bambini fino a tre anni. Mark Lynas (vedi una breve biografia su Wikipedia) è solo l’ultimo in ordine di tempo attivista ambientalista ad essersi pentito di essere stato un feroce anti-GMOs arrivando anche a distruggere campi sperimentali di OGM. Il suo percorso di ravvedimento è interessante perché essendo principalmente preoccupato per i cambiamenti climatici ha voluto dare a queste sue convinzioni un vero peso scientifico e per farlo ha dovuto leggere e studiare articoli scientifici. Avendo apprezzato il metodo scientifico lo ha applicato anche ad altre tematiche come quelle degli OGM o dell’uso del DDT arrivando a comprendere come il movimento ambientalista abbia da tempo preso una deriva anti-scientifica anche col suo personale aiuto dato in maniera inconsapevole e spontaneistica. Ci sono molti passaggi di grande interesse nella video-conferenza che ha tenuto ad Oxford solo pochi giorni fa il cui testo è riprodotto qui sotto. Mark Lynas from Oxford Farming Conference on Vimeo. So I guess you’ll be wondering - what happened between 1995 and now that made me not only change my mind but come here and admit it? Well, the answer is fairly simple: I discovered science, and in the process I hope I became a better environmentalist. When I first heard about Monsanto’s GM soya I knew exactly what I thought. Here was a big American corporation with a nasty track record, putting something new and experimental into our food without telling us. Mixing genes between species seemed to be about as unnatural as you can get - here was humankind acquiring too much technological power; something was bound to go horribly wrong. These genes would spread like some kind of living pollution. It was the stuff of nightmares. This was also explicitly an anti-science movement. We employed a lot of imagery about scientists in their labs cackling demonically as they tinkered with the very building blocks of life. Hence the Frankenstein food tag - this absolutely was about deep-seated fears of scientific powers being used secretly for unnatural ends. What we didn’t realise at the time was that the real Frankenstein’s monster was not GM technology, but our reaction against it. My second climate book, Six Degrees, was so sciency that it even won the Royal Society science books prize, and climate scientists I had become friendly with would joke that I knew more about the subject than them. And yet, incredibly, at this time in 2008 I was still penning screeds in the Guardian attacking the science of GM - even though I had done no academic research on the topic, and had a pretty limited personal understanding. I don’t think I’d ever read a peer-reviewed paper on biotechnology or plant science even at this late stage. But what about mixing genes between unrelated species? The fish and the tomato? Turns out viruses do that all the time, as do plants and insects and even us - it’s called gene flow. But this was still only the beginning. So in my third book The God Species I junked all the environmentalist orthodoxy at the outset and tried to look at the bigger picture on a planetary scale. And this is the challenge that faces us today: we are going to have to feed 9.5 billion hopefully much less poor people by 2050 on about the same land area as we use today, using limited fertiliser, water and pesticides and in the context of a rapidly-changing climate. Let’s unpack this a bit. I know in a previous year’s lecture in this conference there was the topic of population growth. This area too is beset by myths. People think that high rates of fertility in the developing world are the big issue - in other words, poor people are having too many children, and we therefore need either family planning or even something drastic like mass one-child policies. The reality is that global average fertility is down to about 2.5 - and if you consider that natural replacement is 2.2, this figure is not much above that. So where is the massive population growth coming from? It is coming because of declining infant mortality - more of today’s youngsters are growing up to have their own children rather than dying of preventable diseases in early childhood. The rapid decline in infant mortality rates is one of the best news stories of our decade and the heartland of this great success story is sub-Saharan Africa. It’s not that there are legions more children being born - in fact, in the words of Hans Rosling, we are already at ‘peak child’. That is, about 2 billion children are alive today, and there will never be more than that because of declining fertility. But so many more of these 2 billion children will survive into adulthood today to have their own children. They are the parents of the young adults of 2050. That’s the source of the 9.5 billion population projection for 2050. You don’t have to have lost a child, God forbid, or even be a parent, to know that declining infant mortality is a good thing. So how much food will all these people need? According to the latest projections, published last year in the Proceedings of the National Academy of Sciences, we are looking at a global demand increase of well over 100% by mid-century. This is almost entirely down to GDP growth, especially in developing countries. In other words, we need to produce more food not just to keep up with population but because poverty is gradually being eradicated, along with the widespread malnutrition that still today means close to 800 million people go to bed hungry each night. And I would challenge anyone in a rich country to say that this GDP growth in poor countries is a bad thing. 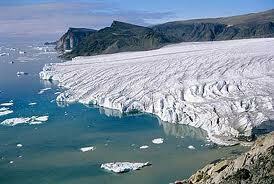 But as a result of this growth we have very serious environmental challenges to tackle. Land conversion is a large source of greenhouse gases, and perhaps the greatest source of biodiversity loss. This is another reason why intensification is essential - we have to grow more on limited land in order to save the rainforests and remaining natural habitats from the plough. We also have to deal with limited water - not just depleting aquifers but also droughts that are expected to strike with increasing intensity in the agricultural heartlands of continents thanks to climate change. If we take more water from rivers we accelerate biodiversity loss in these fragile habitats. We also need to better manage nitrogen use: artificial fertiliser is essential to feed humanity, but its inefficient use means dead zones in the Gulf of Mexico and many coastal areas around the world, as well as eutrophication in fresh water ecosystems. It is not enough to sit back and hope that technological innovation will solve our problems. We have to be much more activist and strategic than that. We have to ensure that technological innovation moves much more rapidly, and in the right direction for those who most need it. In a sense we’ve been here before. When Paul Ehrlich published the Population Bomb in 1968, he wrote: “The battle to feed all of humanity is over. In the 1970s hundreds of millions of people will starve to death in spite of any crash programs embarked upon now.” The advice was explicit - in basket-case countries like India, people might as well starve sooner rather than later, and therefore food aid to them should be eliminated to reduce population growth. It was not pre-ordained that Ehrlich would be wrong. In fact, if everyone had heeded his advice hundreds of millions of people might well have died needlessly. But in the event, malnutrition was cut dramatically, and India became food self-sufficient, thanks to Norman Borlaug and his Green Revolution. It is important to recall that Borlaug was equally as worried about population growth as Ehrlich. He just thought it was worth trying to do something about it. He was a pragmatist because he believed in doing what was possible, but he was also an idealist because he believed that people everywhere deserved to have enough to eat. So what did Norman Borlaug do? He turned to science and technology. Humans are a tool-making species - from clothes to ploughs, technology is primarily what distinguishes us from other apes. And much of this work was focused on the genome of major domesticated crops - if wheat, for example, could be shorter and put more effort into seed-making rather than stalks, then yields would improve and grain loss due to lodging would be minimised. And, thanks to supposedly environmental campaigns spread from affluent countries, we are perilously close to this position now. Biotechnology has not been stopped, but it has been made prohibitively expensive to all but the very biggest corporations. It now costs tens of millions to get a crop through the regulatory systems in different countries. In fact the latest figures I’ve just seen from CropLife suggest it costs $139 million to move from discovering a new crop trait to full commercialisation, so open-source or public sector biotech really does not stand a chance. There is a depressing irony here that the anti-biotech campaigners complain about GM crops only being marketed by big corporations when this is a situation they have done more than anyone to help bring about. In the EU the system is at a standstill, and many GM crops have been waiting a decade or more for approval but are permanently held up by the twisted domestic politics of anti-biotech countries like France and Austria. Around the whole world the regulatory delay has increased to more than 5 and a half years now, from 3.7 years back in 2002. The bureaucratic burden is getting worse. France, remember, long refused to accept the potato because it was an American import. As one commentator put it recently, Europe is on the verge of becoming a food museum. We well-fed consumers are blinded by romantic nostalgia for the traditional farming of the past. Because we have enough to eat, we can afford to indulge our aesthetic illusions. But at the same time the growth of yields worldwide has stagnated for many major food crops, as research published only last month by Jonathan Foley and others in the journal Nature Communications showed. If we don’t get yield growth back on track we are indeed going to have trouble keeping up with population growth and resulting demand, and prices will rise as well as more land being converted from nature to agriculture. As Borlaug was saying, perhaps the most pernicious myth of all is that organic production is better, either for people or the environment. The idea that it is healthier has been repeatedly disproved in the scientific literature. We also know from many studies that organic is much less productive, with up to 40-50% lower yields in terms of land area. The Soil Association went to great lengths in a recent report on feeding the world with organic not to mention this productivity gap. Nor did it mention that overall, if you take into account land displacement effects, organic is also likely worse for biodiversity. Instead they talk about an ideal world where people in the west eat less meat and fewer calories overall so that people in developing countries can have more. This is simplistic nonsense. If you think about it, the organic movement is at its heart a rejectionist one. It doesn’t accept many modern technologies on principle. Like the Amish in Pennsylvania, who froze their technology with the horse and cart in 1850, the organic movement essentially freezes its technology in somewhere around 1950, and for no better reason. It doesn’t even apply this idea consistently however. I was reading in a recent Soil Association magazine that it is OK to blast weeds with flamethrowers or fry them with electric currents, but benign herbicides like glyphosate are still a no-no because they are ‘artificial chemicals’. In reality there is no reason at all why avoiding chemicals should be better for the environment - quite the opposite in fact. Recent research by Jesse Ausubel and colleagues at Rockefeller University looked at how much extra farmland Indian farmers would have had to cultivate today using the technologies of 1961 to get today’s overall yield. The answer is 65 million hectares, an area the size of France. In China, maize farmers spared 120 million hectares, an area twice the size of France, thanks to modern technologies getting higher yields. On a global scale, between 1961 and 2010 the area farmed grew by only 12%, whilst kilocalories per person rose from 2200 to 2800. So even with three billion more people, everyone still had more to eat thanks to a production increase of 300% in the same period. So how much land worldwide was spared in the process thanks to these dramatic yield improvements, for which chemical inputs played a crucial role? The answer is 3 billion hectares, or the equivalent of two South Americas. There would have been no Amazon rainforest left today without this improvement in yields. Nor would there be any tigers in India or orang utans in Indonesia. That is why I don’t know why so many of those opposing the use of technology in agriculture call themselves environmentalists. So where does this opposition come from? There seems to be a widespread assumption that modern technology equals more risk. Actually there are many very natural and organic ways to face illness and early death, as the debacle with Germany’s organic beansprouts proved in 2011. This was a public health catastrophe, with the same number of deaths and injuries as were caused by Chernobyl, because E.-coli probably from animal manure infected organic beansprout seeds imported from Egypt. In total 53 people died and 3,500 suffered serious kidney failure. And why were these consumers choosing organic? Because they thought it was safer and healthier, and they were more scared of entirely trivial risks from highly-regulated chemical pesticides and fertilisers. If you look at the situation without prejudice, much of the debate, both in terms of anti-biotech and organic, is simply based on the naturalistic fallacy - the belief that natural is good, and artificial is bad. This is a fallacy because there are plenty of entirely natural poisons and ways to die, as the relatives of those who died from E.-coli poisoning would tell you. For organic, the naturalistic fallacy is elevated into the central guiding principle for an entire movement. This is irrational and we owe it to the Earth and to our children to do better. This is not to say that organic farming has nothing to offer - there are many good techniques which have been developed, such as intercropping and companion planting, which can be environmentally very effective, even it they do tend to be highly labour-intensive. Principles of agro-ecology such as recyling nutrients and promoting on-farm diversity should also be taken more seriously everywhere. But organic is in the way of progress when it refuses to allow innovation. Again using GM as the most obvious example, many third-generation GM crops allow us not to use environmentally-damaging chemicals because the genome of the crop in question has been altered so the plant can protect itself from pests. Why is that not organic? Organic is also in the way when it is used to take away choice from others. One of the commonest arguments against GM is that organic farmers will be ‘contaminated’ with GM pollen, and therefore no-one should be allowed to use it. So the rights of a well-heeled minority, which come down ultimately to a consumer preference based on aesthetics, trump the rights of everyone else to use improved crops which would benefit the environment. I am all for a world of diversity, but that means one farming system cannot claim to have a monopoly of virtue and aim at excluding all other options. Why can’t we have peaceful co-existence? This is particularly the case when it shackles us to old technologies which have higher inherent risks than the new. It seems like almost everyone has to pay homage to ‘organic’ and to question this orthodoxy is unthinkable. Well I am here to question it today. The biggest risk of all is that we do not take advantage of all sorts of opportunities for innovation because of what is in reality little more than blind prejudice. Let me give you two examples, both regrettably involving Greenpeace. Last year Greenpeace destroyed a GM wheat crop in Australia, for all the traditional reasons, which I am very familiar with having done it myself. This was publicly funded research carried out by the Commonwealth Scientific Research institute, but no matter. They were against it because it was GM and unnatural. What few people have since heard is that one of the other trials being undertaken, which Greenpeace activists with their strimmers luckily did not manage to destroy, accidentally found a wheat yield increase of an extraordinary 30%. Just think. This knowledge might never have been produced at all, if Greenpeace had succeeded in destroying this innovation. As the president of the NFU Peter Kendall recently suggeseted, this is analogous to burning books in a library before anyone has been able to read them. The second example comes from China, where Greenpeace managed to trigger a national media panic by claiming that two dozen children had been used as human guinea pigs in a trial of GM golden rice. They gave no consideration to the fact that this rice is healthier, and could save thousands of children from vitamin A deficiency-related blindness and death each year. What happened was that the three Chinese scientists named in the Greenpeace press release were publicly hounded and have since lost their jobs, and in an autocratic country like China they are at serious personal risk. Internationally because of over-regulation golden rice has already been on the shelf for over a decade, and thanks to the activities of groups like Greenpeace it may never become available to vitamin-deficient poor people. This to my mind is immoral and inhumane, depriving the needy of something that would help them and their children because of the aesthetic preferences of rich people far away who are in no danger from Vitamin A shortage. Greenpeace is a $100-million a year multinational, and as such it has moral responsibilities just like any other large company. The fact that golden rice was developed in the public sector and for public benefit cuts no ice with the antis. Take Rothamsted Research, whose director Maurice Moloney is speaking tomorrow. Last year Rothamsted began a trial of an aphid-resistant GM wheat which would need no pesticides to combat this serious pest. Because it is GM the antis were determined to destroy it. They failed because of the courage of Professor John Pickett and his team, who took to YouTube and the media to tell the important story of why their research mattered and why it should not be trashed. They gathered thousands of signatures on a petition when the antis could only manage a couple of hundred, and the attempted destruction was a damp squib. One intruder did manage to scale the fence, however, who turned out to be the perfect stereotypical anti-GM protestor - an old Etonian aristocrat whose colourful past makes our Oxford local Marquess of Blandford look like the model of responsible citizenry. This high-born activist scattered organic wheat seeds around the trial site in what was presumably a symbolic statement of naturalness. Professor Pickett’s team tell me they had a very low-tech solution to getting rid of it - they went round with a cordless portable hoover to clear it up. This year, as well as repeating the wheat trial, Rothamsted is working on an omega 3 oilseed that could replace wild fish in food for farmed salmon. So this could help reduce overfishing by allowing land-based feedstocks to be used in aquaculture. Yes it’s GM, so expect the antis to oppose this one too, despite the obvious potential environmental benefits in terms of marine biodiversity. I don’t know about you, but I’ve had enough. So my conclusion here today is very clear: the GM debate is over. It is finished. We no longer need to discuss whether or not it is safe - over a decade and a half with three trillion GM meals eaten there has never been a single substantiated case of harm. You are more likely to get hit by an asteroid than to get hurt by GM food. More to the point, people have died from choosing organic, but no-one has died from eating GM. Just as I did 10 years ago, Greenpeace and the Soil Association claim to be guided by consensus science, as on climate change. Yet on GM there is a rock-solid scientific consensus, backed by the American Association for the Advancement of Science, the Royal Society, health institutes and national science academies around the world. Yet this inconvenient truth is ignored because it conflicts with their ideology. One final example is the sad story of the GM blight-resistant potato. This was being developed by both the Sainsbury Lab and Teagasc, a publicly-funded institute in Ireland - but the Irish Green Party, whose leader often attends this very conference, was so opposed that they even took out a court case against it. This is despite the fact that the blight-resistant potato would save farmers from doing 15 fungicide sprays per season, that pollen transfer is not an issue because potatoes are clonally propagated and that the offending gene came from a wild relative of the potato. There would have been a nice historical resonance to having a blight-resistant potato developed in Ireland, given the million or more who died due to the potato famine in the mid 19th century. It would have been a wonderful thing for Ireland to be the country that defeated blight. But thanks to the Irish Green Party, this is not to be. And unfortunately the antis now have the bureaucrats on their side. Wales and Scotland are officially GM free, taking medieval superstition as a strategic imperative for devolved governments supposedly guided by science. It is unfortunately much the same in much of Africa and Asia. India has rejected Bt brinjal, even though it would reduce insecticide applications in the field, and residues on the fruit. The government in India is increasingly in thrall to backward-looking ideologues like Vandana Shiva, who idealise pre-industrial village agriculture despite the historical fact that it was an age of repeated famines and structural insecurity. In Africa, ‘no GM’ is still the motto for many governments. Kenya for example has actually banned GM foods because of the supposed “health risks” despite the fact that they could help reduce the malnutrition that is still rampant in the country - and malnutrition is by the way a proven health risk, with no further evidence needed. In Kenya if you develop a GM crop which has better nutrition or a higher yield to help poorer farmers then you will go to jail for 10 years. Thus desperately-needed agricultural innovation is being strangled by a suffocating avalanche of regulations which are not based on any rational scientific assessment of risk. The risk today is not that anyone will be harmed by GM food, but that millions will be harmed by not having enough food, because a vocal minority of people in rich countries want their meals to be what they consider natural. I hope now things are changing. The wonderful Bill and Melinda Gates foundation recently gave $10 million to the John Innes Centre to begin efforts to integrate nitrogen fixing capabilities into major food crops, starting with maize. Yes, Greenpeace, this will be GM. Get over it. If we are going to reduce the global-scale problem of nitrogen pollution then having major crop plants fixing their own nitrogen is a worthy goal. I know it is politically incorrect to say all this, but we need a a major dose of both international myth-busting and de-regulation. The plant scientists I know hold their heads in their hands when I talk about this with them because governments and so many people have got their sense of risk so utterly wrong, and are foreclosing a vitally necessary technology. Norman Borlaug is dead now, but I think we honour his memory and his vision when we refuse to give in to politically correct orthodoxies when we know they are incorrect. The stakes are high. If we continue to get this wrong, the life prospects of billions of people will be harmed. But most important of all, farmers should be free to choose what kind of technologies they want to adopt. If you think the old ways are the best, that’s fine. You have that right. What you don’t have the right to do is to stand in the way of others who hope and strive for ways of doing things differently, and hopefully better. Farmers who understand the pressures of a growing population and a warming world. Who understand that yields per hectare are the most important environmental metric. And who understand that technology never stops developing, and that even the fridge and the humble potato were new and scary once. So my message to the anti-GM lobby, from the ranks of the British aristocrats and celebrity chefs to the US foodies to the peasant groups of India is this. You are entitled to your views. But you must know by now that they are not supported by science. We are coming to a crunch point, and for the sake of both people and the planet, now is the time for you to get out of the way and let the rest of us get on with feeding the world sustainably. Torna a farsi sentire uno dei fondatori ed ex-direttore di Greenpaece International, Patrick Moore. Non ha cambiato idea né sul fatto di essere pro-OGM né sulle critiche alla generazione rampante dell’organizzazione. Un riferimento pragmatico per dimostrare come i veri ambientalisti sono favorevoli all’uso degli OGM. La notizia di gossip del quarto figlio di una coppia tutta dedita alla pubblicità come i Beckham sembrerebbe non essere di interesse per questo blog. Invece rivela la radice dello scontro in atto tra due diverse filosofie di vita: quella dei Verdi per cui l’uomo è un parassita inquinante sul pianeta la cui scomparsa sarebbe un vantaggio per la Terra, contro l’idea che l’uomo è parte integrante della natura e può usare la sua intelligenza per mitigare la sua impronta ecologica senza dover autocondannarsi all’estinzione. Resta paradossale l’idea che la riproduzione di una specie animale (l’uomo) sia considerata dai pretesi ecologisti un atto contro Natura: la sindrome da guerra ideologica è oramai manifesta.